Lisa Vanderpump, who leveraged her celebrity as one of Bravo’s “Real Housewives of Beverly Hills” to launch her own reality TV show, is opening her second West Hollywood restaurant and lounge. LAEater.com reports that Vanderpump, whose “Vanderpump Rules” reality show starred the seemingly dysfunctional and sexually active staff of her restaurant SUR, is taking the long-empty building at the southeast corner of Santa Monica Boulevard and Robertson for a restaurant named P.U.M.P. The space was last occupied by Java Detour, a coffee bar. Here lounge and the Abbey, popular gay destinations, are immediately behind the P.U.M.P. site on Robertson. No word on when P.U.M.P. will open. 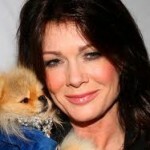 But when it comes to restaurants on North Robertson Boulevard, Lisa Vanderpump clearly rules.